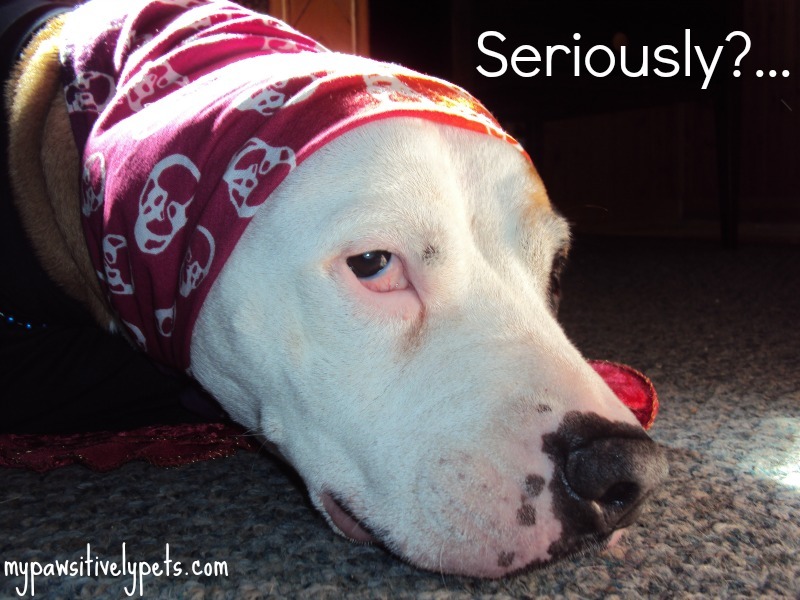 Ahoy Me Hearties - It's a Pirate Costume Party! We scoured Lily's costume and dress-up clothes for pirate-worthy attire. 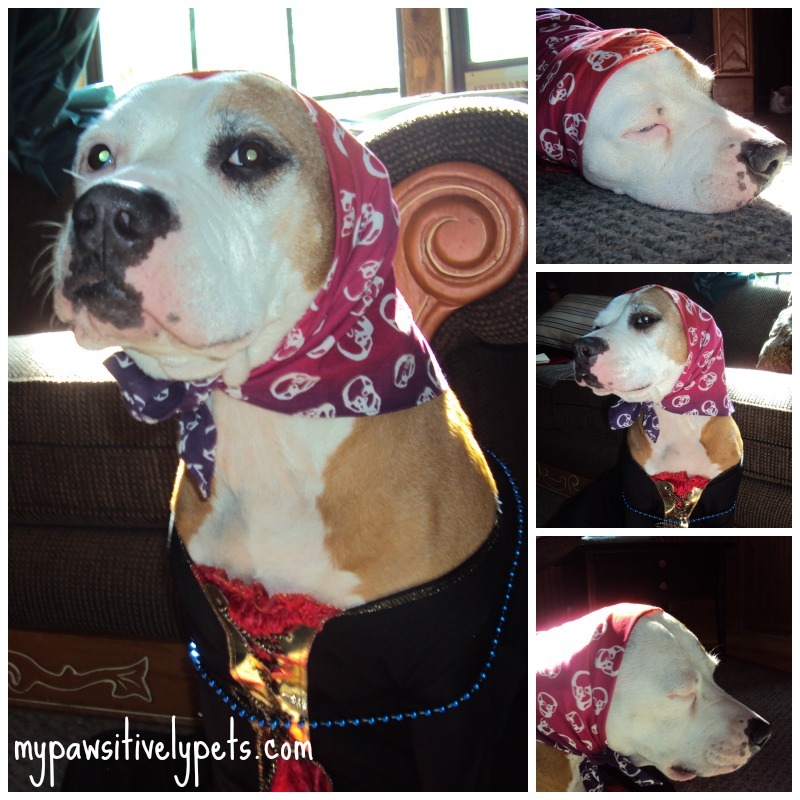 She used to have a pirate costume, but I must have gotten rid of it because it was too little. Shiner was first to model pirate-style. Shiner moaned and groaned a bit about the whole pirate thing, but she got over it once I showed her a tasty treat afterwards. Lily is a big fan of Speedy and really wanted to join his party. I'm going to help her post something on her little blog for Speedy's party but here is one of her pictures dressed as a pirate. And where is my pirate costume you ask? Well, I didn't actually dress up yesterday... but I did dress up a few years ago for Halloween, so I'll go ahead and show you that picture. 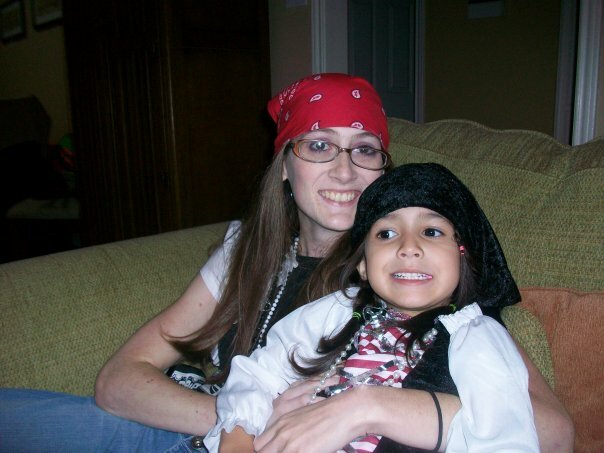 Lily and I in 2009 dressed as pirates! 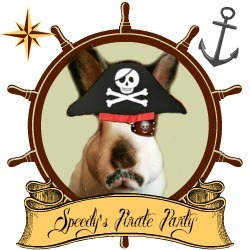 Be sure to stop by Speedy's blog today and check out everyone else's awesome Pirate Party costumes! And to be extra pirate-y, you can read this entire post translated into pirate-speak below. I found the most awesome translator here. It's really a lot of fun to play with! 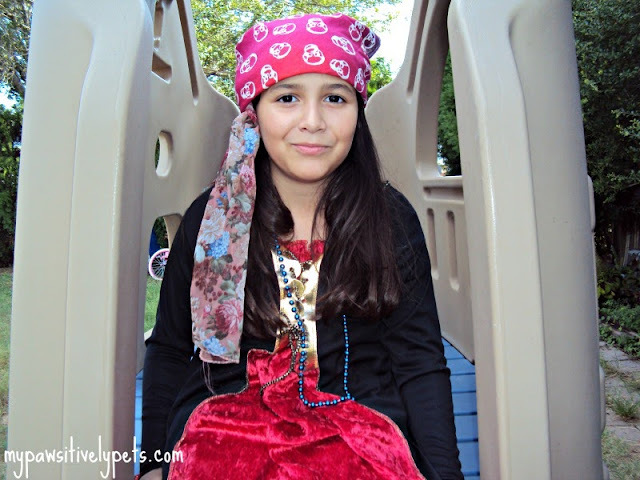 We scoured Lily's costume 'n dress-up clothes fer scurvy pirate-worthy attire. She used to have a scurvy pirate costume, but I must have gotten rid 'o it because it was too wee. 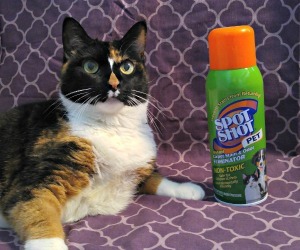 Shiner was first to model scurvy pirate-style. Arrrrgh... Shiner moaned 'n groaned a but 'bout th' whole scurvy pirate thin', but she got over it once I showed her a tasty treat afterwards. Lily be a big fan 'o Speedy 'n really wanted to join his parrrty. I be goin' to help her message somethin' on her wee blog fer Speedy's parrrty but here be one 'o her pictures dressed as a scurvy pirate. 'n whar be me scurvy pirate costume ye ask? Well, I didn't actually dress up yesterday... but I did dress up a few years ago fer Halloween, so I'll be off ahead 'n show ye that picture. 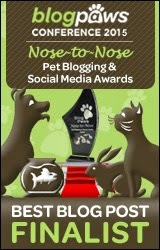 Be sure to stop by Speedy's blog this day 'n check out all ye pirates else's full 'o awe scurvy pirate parrrty costumes! 'n to be extra scurvy pirate-y, ye can read 'tis entire message translated into scurvy pirate-shout below. I found th' most full 'o awe tavern here. 'tis really a lot 'o a ruckas to fight wit'! Hi Anita - thanks for stopping by. 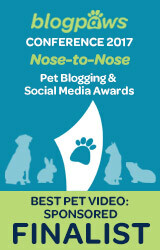 We are big fans of those guys too! You all look great in your pirate costumes! It's so nice to meet you! Ooooh! HELLO THERE! How kind of you to come visit me! Yes, that French tart with the ice cream is rather alluring, non? And I just adore your white pup in the first photo. I told my husband this morning that for Christmas, I want the book, THE FRENCH DOG (let's face it, I'm a French teacher!) - the photos in this book are packed with some of the most adorable dogs who live in French castles and villas. A DOG'S LIFE! Awww, I love all these pictures! What a fun party theme! You did a great job modeling your pirate gear, Shiner! You even had your own built-in eye patch! Ann, Lily is so pretty! You're going to have to be so careful of the boys in a few years! Great photos! We always use the pirate translator on "Meow and Woof Like A Pirate Day" which is this Thursday, the 19th. I tried to get Speedy to move the event til then because many of us will be doing our pirate "thang" then....regardless, great photos! How cute you all are. This is so fun seeing everyone dressed up. Y'all are some mighty fine looking pirates and me timbers are shiverin' fur sure! Thank you Brian - you and Gracie also made some fine pirates! Ye be a excellent scurvy pirates! Me thinks ye would make a wonderful crew fer mes! Love the photos! And love how the translator changed the word "translator" to "tavern". Just like a pirate!! Awww Lily is the cutest Pirate ever! :D You guys look like awesome pirates!! Btw I love that bandana!